This is Brittni from WithLoveFromMichigan and I am very excited to be guest posting on Elycia's blog and sharing a really fun (and tasty!) holiday craft with you. 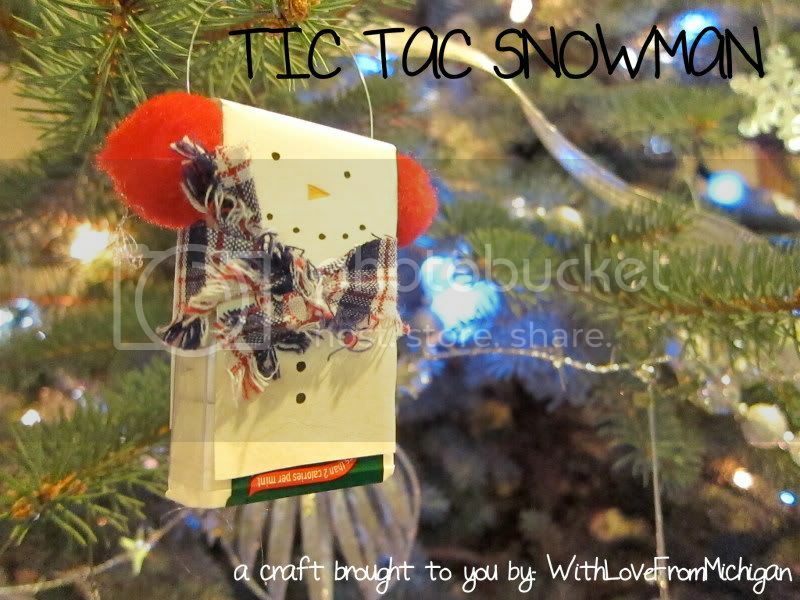 This craft doubles as a Christmas ornament as well. A little treat, a tasty surprise! 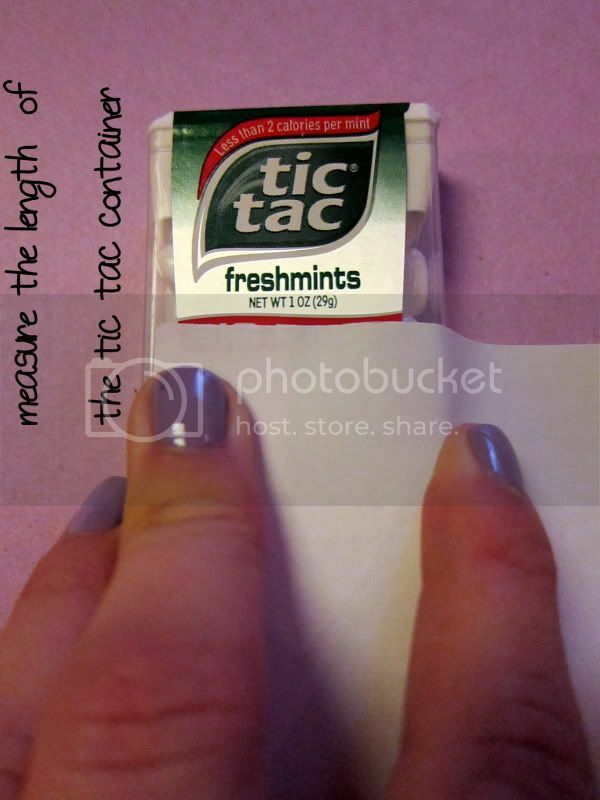 First you need to take some plain white paper and measure the size of your tic tac container. It doesn't have to be perfect. 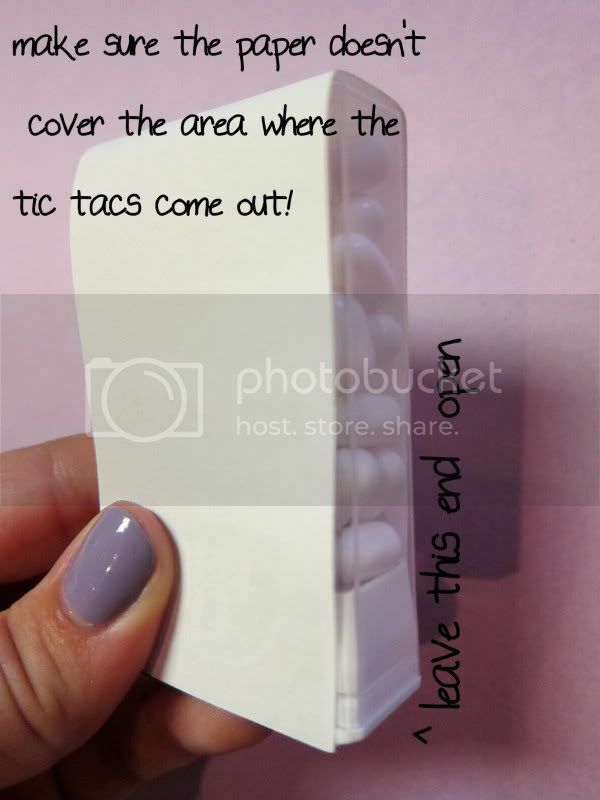 You can make this craft with the small tic tac containers, but it looks a little nicer if you use the "king size" tic tacs. 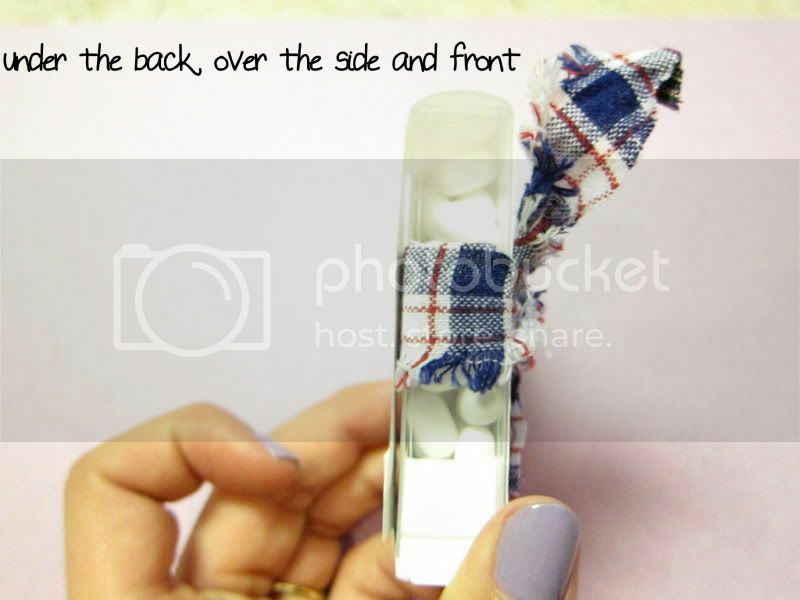 Then glue down the front, but only use a little bit on the back (you will need to lift it up later). 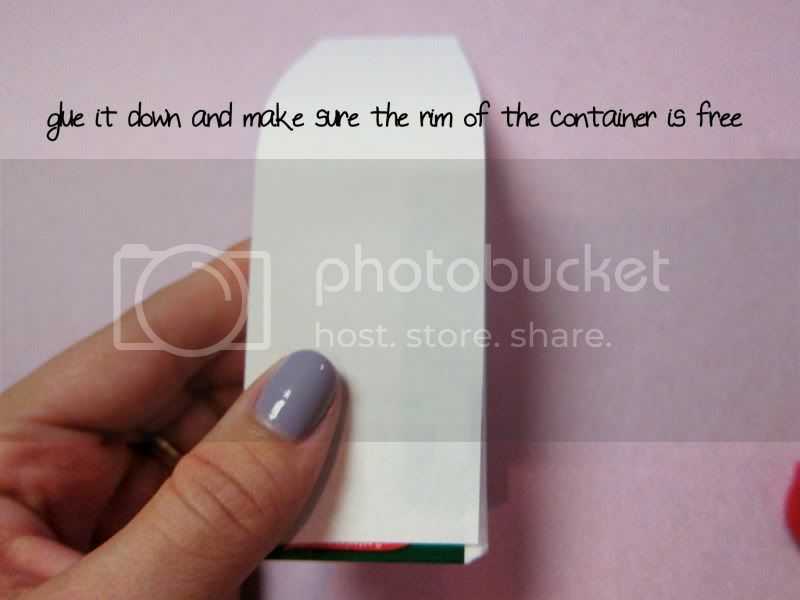 Make sure you DO NOT glue the paper over the tic tac opening! 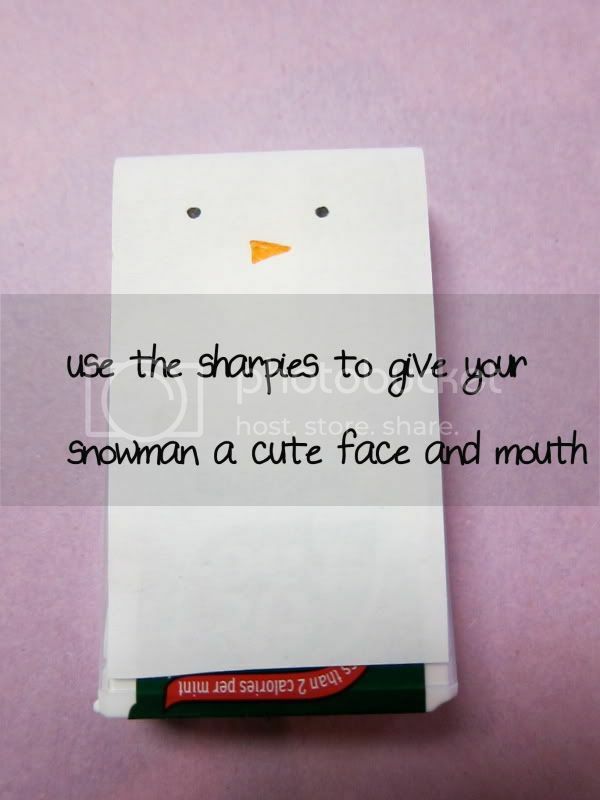 Now use your sharpie markers to give your snowman some eyes, a coal mouth and a carrot nose! 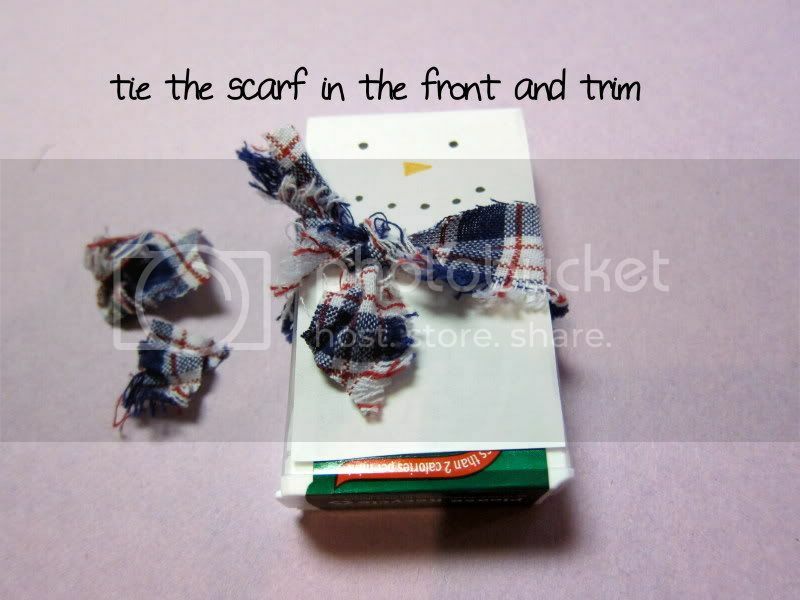 After doing this, now you need to cut the scarf for your snowman out of scrap fabric. 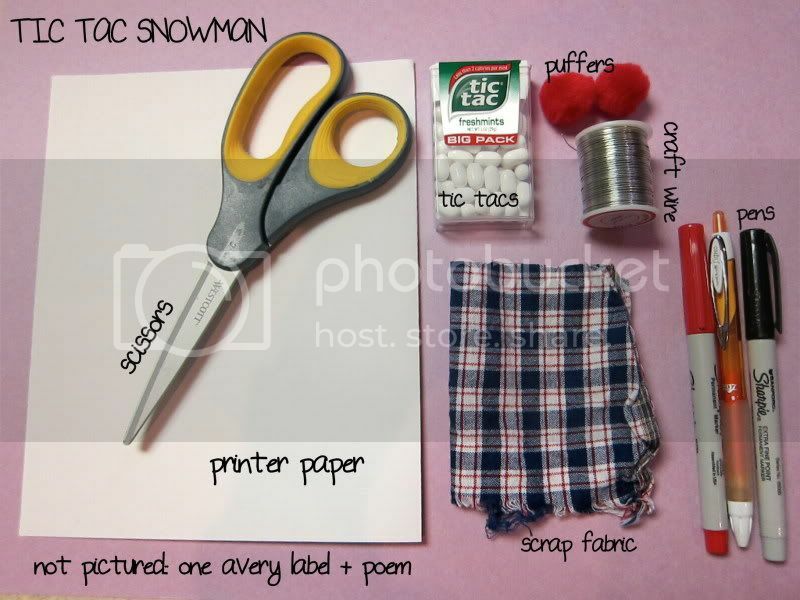 The fabric should be about 1/2 inch wide and several inches long so you can tie it around the snowman in a knot/bow. Now is the "tricky" part. 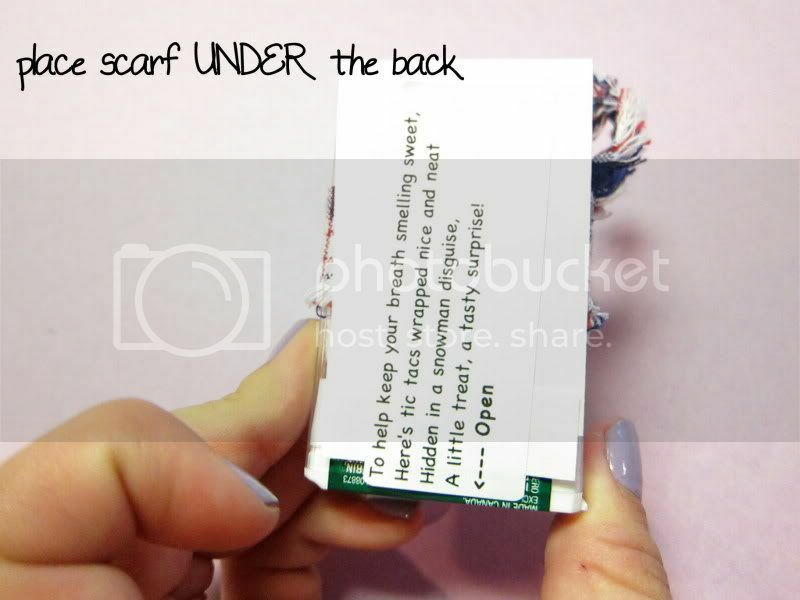 You need to get the scarf under the back of the snowman paper (so it won't cover up your cute poem!) and around the side and front of the snowman. Next you will give the little guy (or gal) some buttons and a heart. 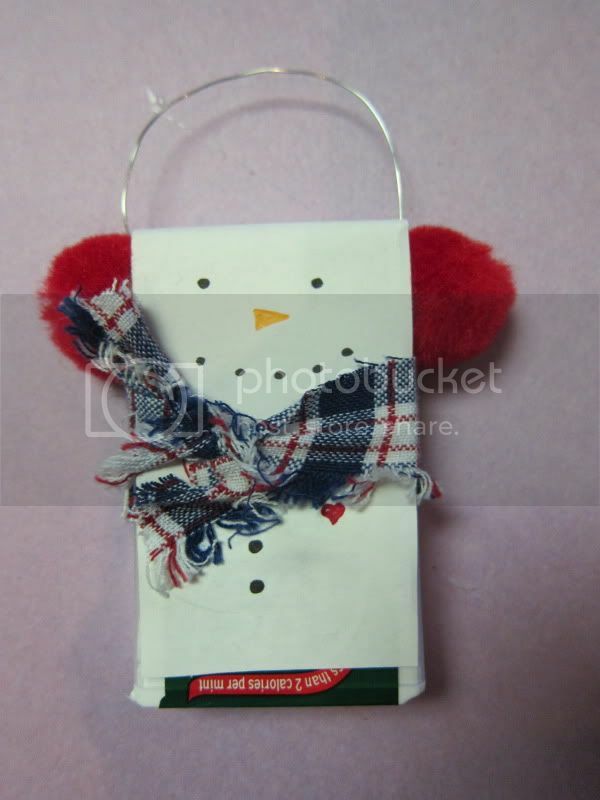 Now we will put the earmuffs on the snowman. 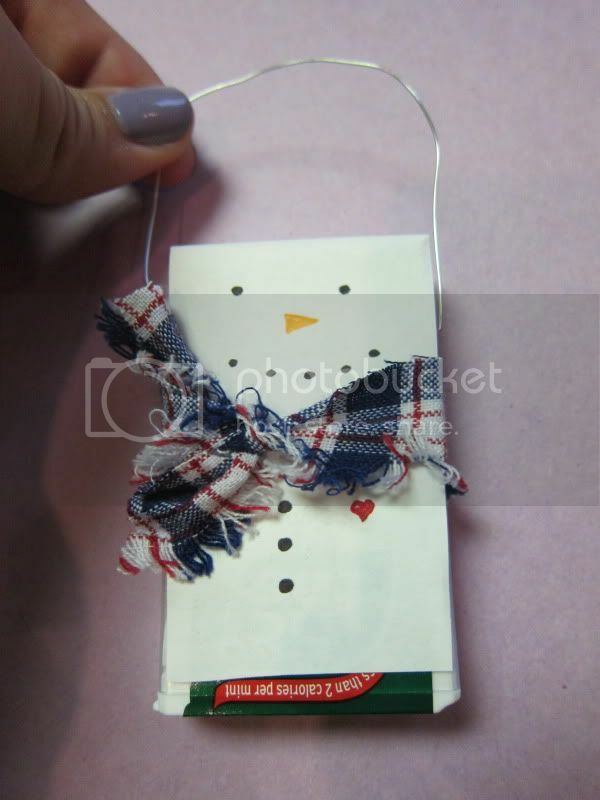 This is what allows him/her to be a Christmas ornament or a decoration for a wrapped present. Fire up the hot glue gun so it's nice and ready. Measure out the craft wire where you think would be appropriate. 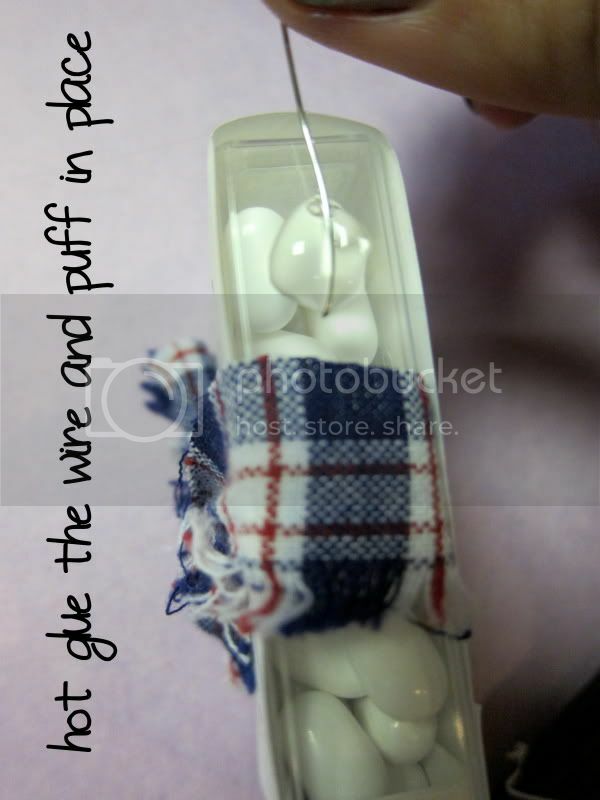 Then hot glue the wire to the snowman's "side" and the pompom (or puffers as I like to call them..) to the wire. Once on each side will complete the earmuffs. I also used the hot glue to keep the scarf in place and tack down any loose sides of the white paper covering the snowman. And you're done! Now you have a cute, sassy little ornament or gift embellishment for a friend or to keep. I hope you enjoyed my snowman craft and feel free to stop by my blog or send any pictures of the snowman craft to: withlovefrommichigan[at]gmail[dot]com! Thanks Elycia for having me as a guest poster! thanks so much brittni! 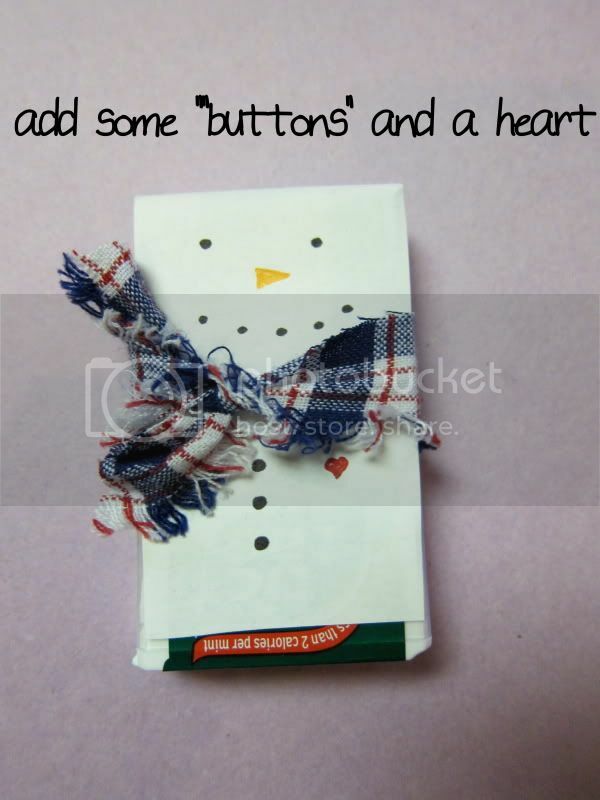 this is an awesome diy!